River Rafting Trips Through GotRafting. DANGER: Class 5 Rapids. EXPERTS ONLY! Rafting, transcended to the limits of control. Crews must be agile, aggressive, and follow commands instantly. Should be physically and mentally prepared for adventure and inherent risk. While not absolutely required, we strongly suggest that everyone has happily experienced class 4 rapids before tackling class 5. Make no mistake. . . this is big, tough and difficult water. Make sure to only bring your 'A' game. So you call yourself a Rafter? Well maybe you have floated down a "lazy river" with your buddies and an ice chest in college. Did you're parents take you down some mellow class 2 or 3 rated river in when you were a kid. Or are you the one that's the adrenaline junkie in your group of buddies. The person that has run all the "big whitewater runs" but still knows there is something bigger and even more fun out there. Here, when we say going class 5 rafting, we don't mean doing a class 2 and a class 3 rapid back to back! If you are the kind of person that wants to truely enjoy an adrenaline rush, test your endurance and stamina dropping into rapids rated EXPERT, and likely being overwhelmed by the most amazing scenic wilderness around; Then do we have a trip for you! 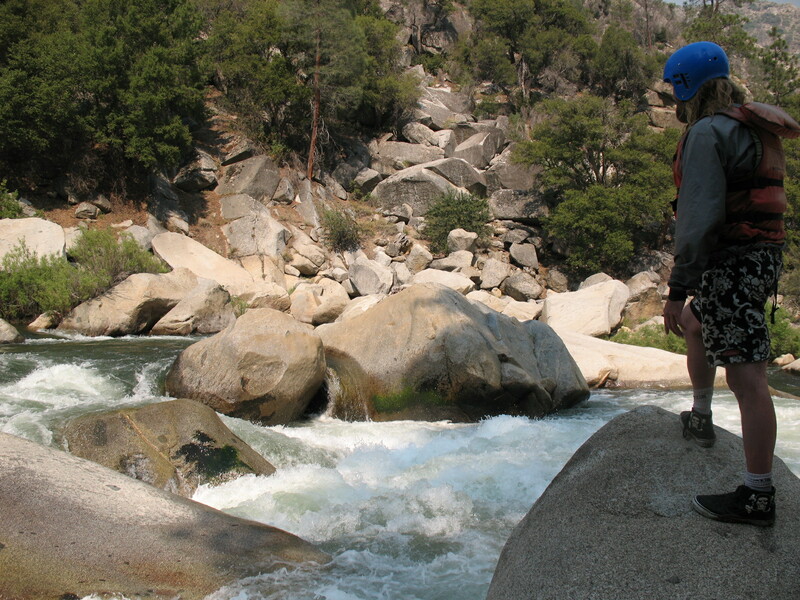 Come experience the most amazing stretch of whitewater, The Forks of The Kern River. Or come and experience the best (and closest to Southern California) class 5 one day trip called the Thunder Run. Warning: This is highly addicting! Mile for mile, no stretch of whitewater in North America compares to the Forks of the Kern. This three-day, 22 mile trip features huge Class V drops and continuous Class IV whitewater framed by some of the most spectacular canyon scenery in the west. Space is limited and trips fill early. We expect trips to run on, The Forks of the Kern, from May through late June. Not your everyday paddling trip. 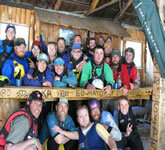 Class V rafting trips are much more strenuous than other river trips and guests should be in good shape. We require that all guests have good stamina and take an evaluation swim. On the Forks, the canyon is steep and remote. We utilize horses and mules to carry our rafts to the river. Guides and guests hike the 2.5 miles to put-in carrying their own gear. Copyright © 2008, Got Rafting.